RAMM's 9” x 1½" heavy-duty door handle is excellent for large sliding doors! 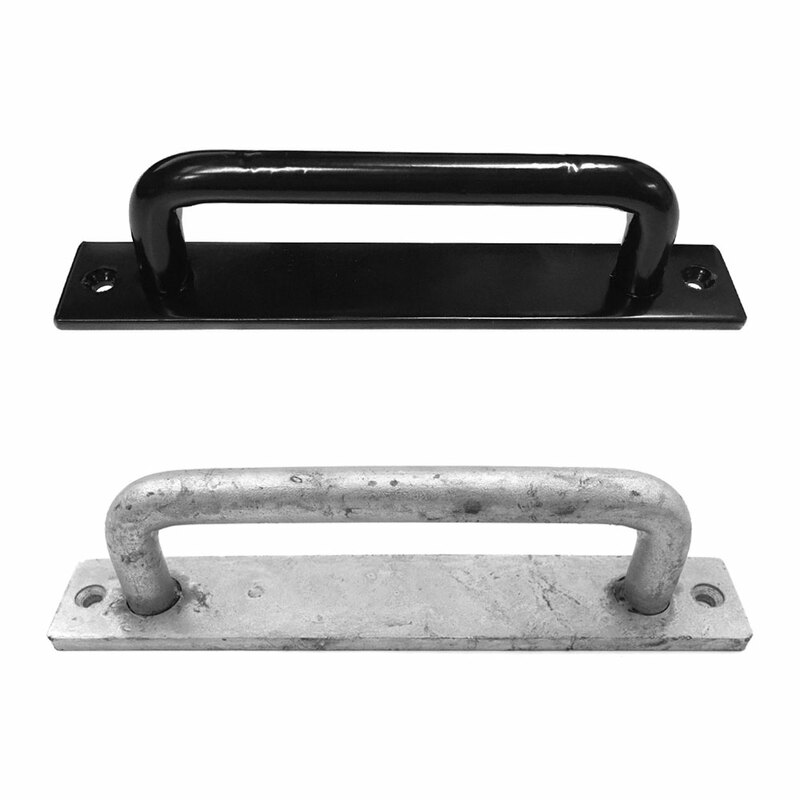 You have your handle's finish be hot-dip galvanized or powder coated black over a hot-dip galvanized finish to fit your barn the best. This bow designed barn door handle is made of cast iron and comes in a smooth powder-coated black finish for excellent resiliency. 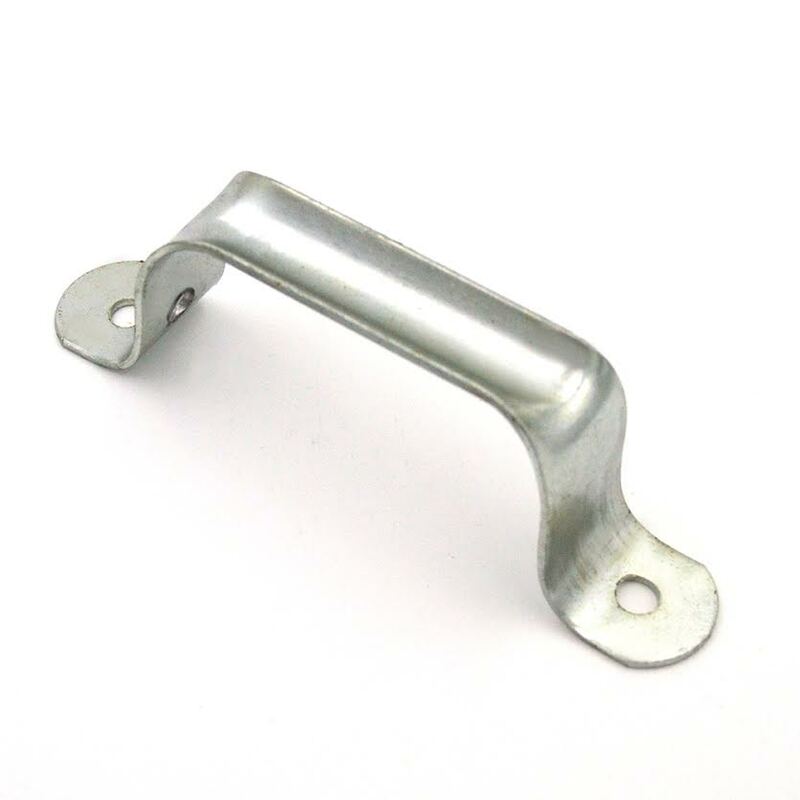 This handle mounts to any flat surface and works great for horse stalls, arenas, and barn or bale doors. Compatibility: Bale Doors, Barn Door, Stall Doors, etc. 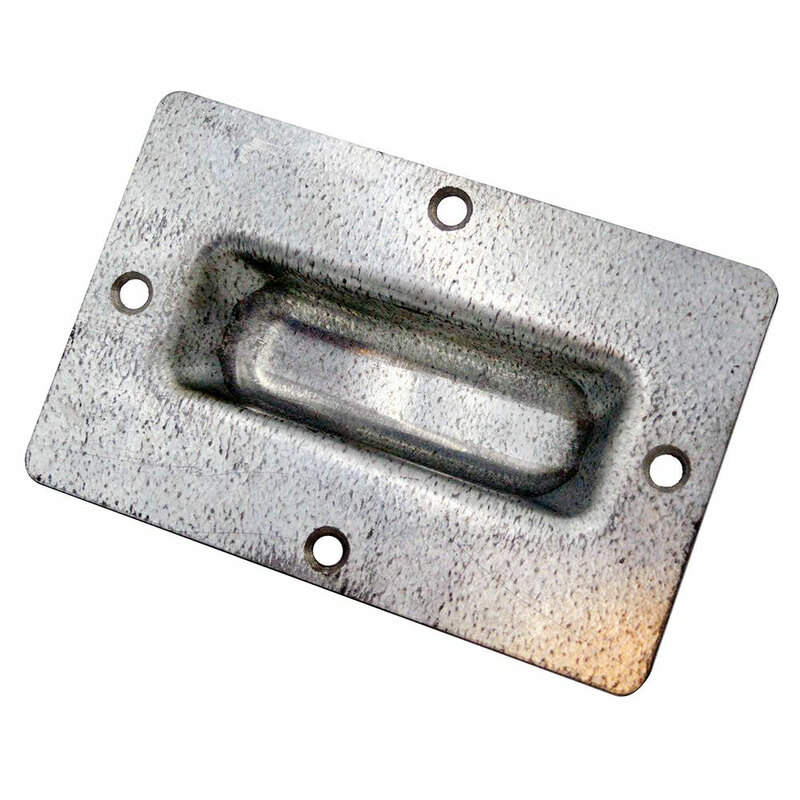 Contoured for a good grip, our door latch handle is made from a heavy-duty galvanized steel and is excellent for large sliding doors. This handle is included our top door latch kit for some of our horse stalls and the barn door hardware kit. 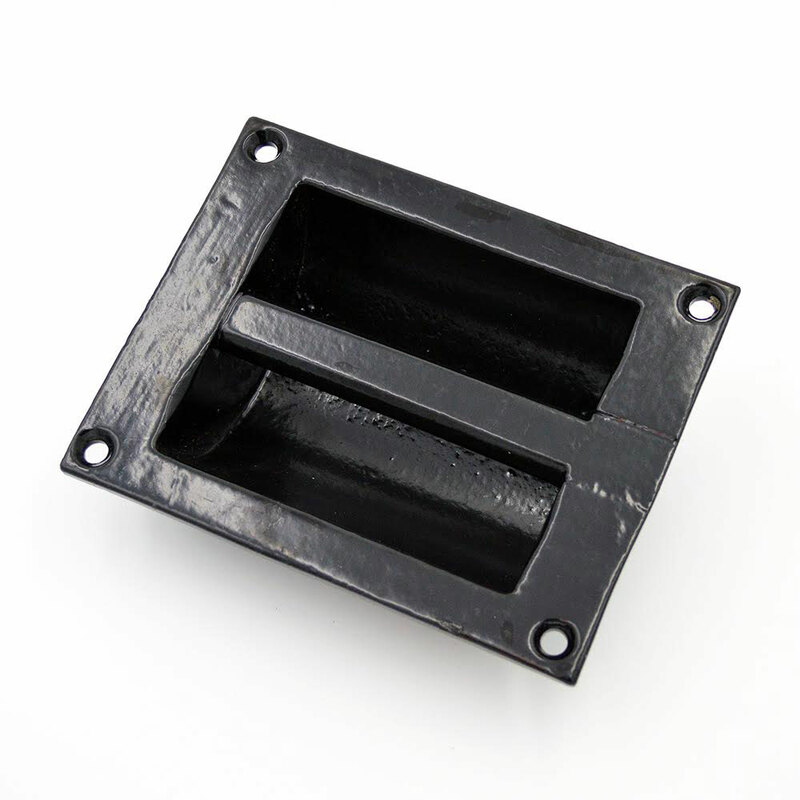 If you're looking for a heavy-duty door handle, then you've come to the right place! We carry only the highest quality horse barn door hardware; all of our door handles are made to last! We have a few different varieties of door handles to choose from. Our strongest two handles are our heavy-duty flush pull handles and heavy-duty door handles. 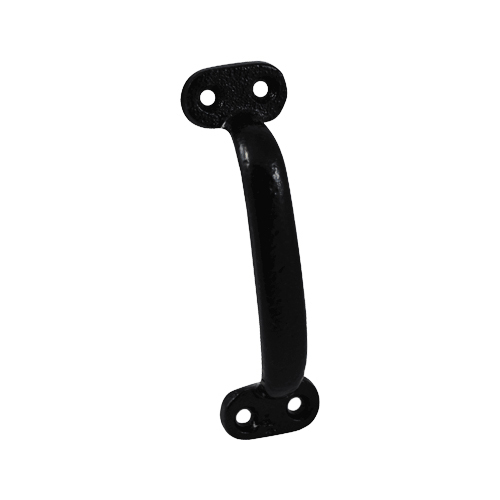 We also have a very popular and economical powder coated black barn door handle that's only $9.50; you can't beat that! Give us a call at 800-434-8456 to speak with an equine expert at RAMM for advice on barn door hardware, horse stalls, fencing, and equipment. Our experts at RAMM can offer assistance in your search for particular equine products as well as installation questions too. We're here to help make your farm and barn perfect! Browse our extensive website, check out our quality equine products, plan your barn and farm project, or just read through our helpful resource center.